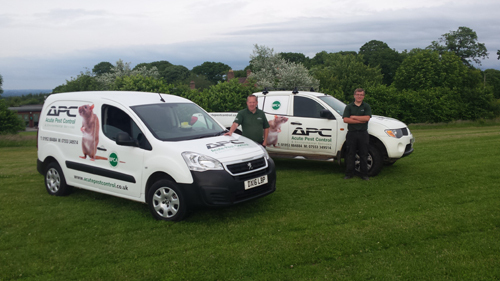 Acute Pest Control is a small family business based in Shropshire. Our aim is to provide a quality service that will give piece of mind at a competitive price. We have over 10 years experience in pest control, covering rodent, insects and bird infestations. Trained to RSPH Level 2 by the British Pest Control Association (BPCA) we can help to stop the spread of disease, prevent damage and contamination and also maintain your reputation with clients and visitors, as well as creating a clean and safe environment for employees. All technicians are trained towards BPCA standards and this helps us stay one step ahead in the effective control of pests. Swift early action by a professional pest control contractor is vital to eradicate the problem you are experiencing with pests before it damages your reputation or the health of individuals. Call us today for a free quotation. Why choose Acute Pest Control? We offer free quotations to all customers and we will advise on the best course of action. Our pest prevention and control services range from one off job treatments to the implementation of a maintenance contract depending on your individual needs.